Property owners refused to rent him the apartment he wanted. Legal Aid intervened for Steve, and the owners changed their policies. The Champions of Justice Gala is held annually each Spring. 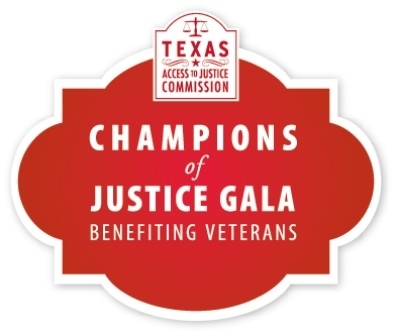 Proceeds directly support civil legal services to low-income Texas Veterans. Champions of Justice Gala 2019. If you have questions about the gala, contact Kaitlyn Eberhardt, 512-427-1730 or keberhardt@texasbar.com.